Описание: Empower – шестиступенчатый курс английского языка для студентов и взрослых от издательства Cambridge. Соответствует уровням A1, Beginner - C1, Advanced по шкале CEFR. Empower построен таким образом, чтобы наряду с изучением грамматики и освоением лексики студенты сразу начинали применять полученные знания на практике – в курсе представлено много разговорной и письменной практики. Empower сочетает в себе учебный курс с современными электронными компонентами и онлайн кабинетом для повышения эффективности в изучении языка. Линейка отличается актуальностью тематики и высокой степенью вовлеченности в изучение языка, что позволяет студентам достигать поставленные задачи с успехом, а преподавателю проводить интересные и интенсивные занятия. 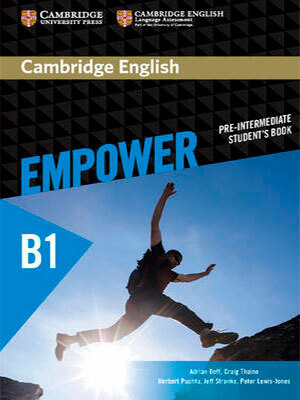 Empower is a general English course for adult and young adult learners which combines course content from Cambridge University Press with validated assessment from the experts at Cambridge English Language Assessment. Empower's unique mix of engaging classroom materials and reliable assessment, with personalised online practice, enables learners to make consistent and measurable progress. - A course book with thought-provoking images and texts and engaging video, designed to generate an emotional response; all helping teachers to deliver motivating and memorable lessons. - Assessment developed and validated by the experts at Cambridge English Language Assessment; rigorously pre-tested to ensure all it is accurate, meaningful and fair. - Personalised learning paths outside of the classroom give students targeted practice, ensuring they spend their time on what they need most, and keeping them motivated and engaged. - Teachers are provided with a full digital package in one place: Learning Management System plus web tools and clear step-by-step guidance on how to use these tools in the modern classroom. This ultimately allows teachers to spend more time on preparing and delivering high-quality lessons. - Manageable learning with a syllabus that teachers can trust, with Corpus-informed content and alignment to the CEFR, so that learners can clearly and measurably see their own progress in each of the four language skills. 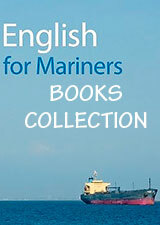 Teacher's Book offers detailed teaching notes for every lesson of the Student's Book. It also includes extra photocopiable activities, keys to exercises and extra teaching notes. Empower Class Audio CDs provide all the audio content from the Student's Book. Presentation Plus provides the complete Student's Book content and the Workbook content with built-in annotation tools, embedded audio, and class video in an easy-to-operate format for interactive whiteboards or computers and projectors.